The course material has resonated with me in that I am able to identify the need for project management in certain areas of my workplace where this is lacking; such as developing systems for interdepartmental communication and talent acquisition and retention. But, can this be done in the project/program setting with definitive time lines, goals, budget, planning and execution? I think so! To examine this further, let’s review two examples of projects that I’ve taken part of during my career in the Association Management Field which starkly contrast with each other. One, the successful implementation of a global acquisition strategy for a stand alone association. The other, an abysmally failed attempted to reorganize the digital file structure of an Association Management Firm representing 40 clients and employing almost 250 people. The latter project, in my opinion, was the attempt of an executive assistant to prove her worth to the company. Beginning with the notion that a one size fits all file structure would be suitable for different account teams representing vastly different clients from many different industries was mistake number one. The project managers did not take the time to properly assess what the organization’s true needs and wants were and simply operated under assumptions. They may have been doing this to avoid scope creep, which often happens in the Association Management Firm setting because there are so many different agendas that come to the table. However, in this instance where the project largely affected day to day operations, failure to involve the entire organization in the planning process lead to a great amount of internal imbalance. The next mistake was formulating an unreasonable timeline, which included several hours of pointless meetings and then full days, or even weeks, where entire account teams were taken away from their work and forced to moved files around within the network to comply with the new uniform structure. I was personally affected by this as my account team had a system in place for invoicing which relied heavily on file paths – all of which would have to be changed due to the relocation and none of which was considered or anticipated by the project manager. This was an absolute waste of human capital and client’s suffered because of it. The successful project was one that was carefully cultivated over a two year period by a project manager with a strategic and forward thinking mindset. The Global Development Department at my current company put together an ROI tool which will allow them to assess how to approach various different markets. Each department had a seat at the table and everyone’s role in the process was considered. While implementation is just now beginning, there is great excitement! A good project manager should be able to generate positive feelings about the project – as opposed to the previous example which generated a lot of groaning and eye rolling. I hope to be able to partake in and lead more successful projects like this one in the future. Some advantages that come with this integration are increased motivation and productivity, less training on devices and programs, and access for employees to connect wherever and whenever they want. This saves the IT a considerable amount of money each year. And the employees are happier because they can choose when they want to upgrade and to what device to upgrade to – instead of being at the mercy of the IT guy. 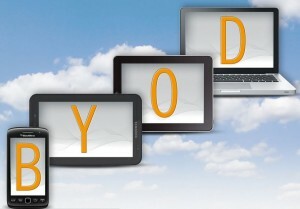 When companies purchase electronic devices (computers, smartphones, and tablets), they always tend to overbuy to side on caution so that every employee will have a device and not to create a lag time for incoming employees. This is a waste of money for the company and can be eliminated since employees would be responsible for supplying their own. Training costs go down when employees are utilizing technologies with which they are already comfortable, which would curb the time it takes to learn a new program or app. And in some cases, training can be altogether eliminated from the books. As companies are continually looking to improve their processes and save money. I feel this is an inexpensive way to lower costs, be more productive, and keep happier employees. Hiring good project managers is critical to any business’ success, yet so many companies are going about hiring them in all the wrong ways. Russell Harley provides us with five simple, cost-effective ways to ensure you are hiring the right project manager for your business. Picking the right or wrong applicant for your company’s needs can make or break your company. If hirers take these five simple measures- they will be far more likely to hire a great project manager that will better the company. It seems as though every job description/qualifications section for a project manager job application is a broad template that could be applied to just about any position or company. “Must have good communication skills,” “Be a self-starter,” and “Work well with teams” are all examples of what you will see in just about every job description for a project manager position. In order to find the right person for the position- these need to be more specific to what the company values and expects from the candidate. Such broad language will invite hoards of applications into your inbox, turning your hiring process into a “needle in a haystack” type of task. You are more likely to get responses from project managers that are a good fit for your company when you clearly specify what is expected of the person. Not only will these generic job descriptions hinder your company’s hiring process, but is also not fair for the applicant to come into a position that they are not prepared/qualified for. Doing this is really just another way to narrow down your pool of applicants. 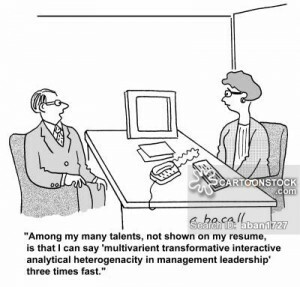 Prepare an in-depth analysis of what aspects of your company struggles with and needs improvement. For example, if your company is struggling with the adoption of a new type of software, ask for knowledge and experience using that specific type of software. This will cut down on training time/costs and help your company operate more efficiently. With cost-cutting being a reoccurring measure taken by almost all companies- it is important to get the most bang for your buck when hiring a project manager. Sure, the overseeing and delegation aspect of project management is very important, but you also want a project manager that is willing help out with the workload. Having a project manager that is willing to get his hands dirty will earn the respect of team members and increase efficiency. Make sure to find a project manager that doesn’t want to just sit a desk all day; find one that is willing to do whatever it takes get a project done the most efficient way possible. Some project managers favor certain methods for getting a project done and not all of them will work for what you need done. Make sure you know what methods of management your employees respond best to and that the project manager you hire is familiar and experienced with those methods. Using a methodology that your employees do not respond well too can cause a project to fail quicker than almost anything. It is very common for companies to ask for written responses from job candidates answering questions like “What makes you a good leader?” Nine times out of ten you are going to get a fluffed up response with little merit. Going through all of these responses can be a lengthy, time-consuming process. Look to their experience and references- that should answer just about any essay question you are thinking about putting on an application. Do you agree/disagree with Harley’s suggested practices in the project manager hiring process? Linda discovered that many new managers reported that they were shocked by how constrained they feel. New managers have to deal with a web of relationships, with their bosses, subordinates, peers, people inside and outside of the organization. All of whom who have relentless and conflicting demands given to them. Linda suggests that until new managers give up the myth that they have such authority and need to realize that they need to negotiate their way through these people and their demands, they will end up frustrated and facing failure. Linda writes that many managers believe that whatever authority they posses comes from their title. Good managers learn over time that they must earn that title of authority from their subordinates through respect and trust. They must show their character, that they are capable of getting things done, and that they are competent if they want their subordinates to follow their lead. New managers often look for compliance to orders from their subordinates, they must keep in mind that compliance is not the same as commitment. Linda points out that if subordinates do not have commitment, they will not show initiative. And if subordinates do not show initiative, it will be difficult for managers to delegate effectively. Linda suggest that managers nurture a strong commitment to shared goals, rather than following whatever the manager says. Linda says that managers must focus on on building a team, not on friendships. When managers focus on individual relationships, they lose the fundamental aspect of effective leadership. By shaping the team’s culture of norms and values, managers can unlock the diverse talents that make up the team. I personally found this article helpful in understanding my new manager and I do intend on bringing these points to our next managers meeting to help improve the store’s operations and the effectiveness and commitment of our staff. Now my question here is, have you ever experienced a manager with that conducted business with these myths? How was that experience? Did you find yourself questioning their ability as an effective manager or did you think their style of management produced positive outcomes for your organization? We’ve all heard about the infamous crowd of customers camping out for days outside the golden gates of the Apple Store, anxiously waiting to get their hands on the new iPhone 6 and the iPhone 6 plus. Shortly after the initial “new toy” excitement, it was reported that the iPhone 6 plus was suffering a design failure and bending while stored in people’s pockets. 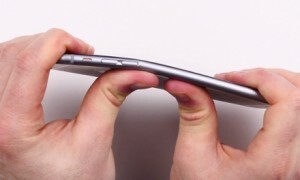 This bending property quickly began trending on twitter as #bendgate and started a frenzy of “who can bend their iPhone 6 plus”. As soon as the bending ordeal began to simmer down, a new problem arose with the iPhones. 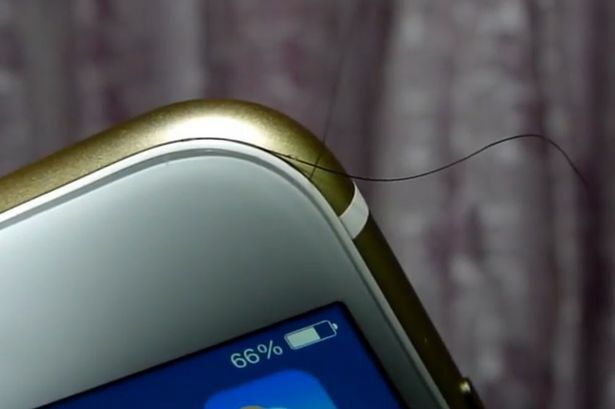 Known on twitter as #hairgate, users are complaining that the new iPhones are snagging the hair from their heads and faces. The issue here lies within the small empty seam between the glass interface and aluminum casing. While iPhone owners are talking on the phone, their hair gets stuck inside the seam. As the user moves the phone away from their head to put it down, their hair is torn out of their head. Both the bending and hair pulling kinks are design issues that have no noticeable affect on the actual usage of the phone. So what’s the big deal? Well customers don’t want to wait days for a phone that works great but bends after a few days of regular use. Customers want a phone that has the whole package, software and hardware. Although I think it’s safe to say that the pros have definitely outweighed the cons when it comes to the new iPhone 6 and iPhone 6 Plus, the question still remains, why does this highly awaited phone have two significant design issues? I believe that the answer lies within the operations management of Apple Corporation. Somewhere along the deign process, employees decided to turn their heads and ignore pertinent issues with the design of the new iPhones. The lack of design in the iPhone reminds me of the paper puppet activity we did in class. Two sheets of green paper were noticeably damaged, however, not a single employee in the design process tried to communicate the damage. Why? Well it could be for various reasons, but the most obvious answer would be the idea that someone else will take care of it. Each employee saw the damage and brushed it off since it was not part of their job description. Lack of communication occurs in the operations management of many companies, Apple is simply the latest to be publicly criticized for it. Had some of their employees simply verbalized their observations on test models, perhaps Apple would not be obliged to replace so many bent iPhones. What are your thoughts? Do you think the new iPhone’s design issues could have been avoided with more effective operations management? Or do you think this was simply an accident? You do not need to know much about snowboarding to know about the Burton brand. Burton is a snowboarding company that was started in 1977 by Jake Burton Carpenter. He did not create snowboarding but he might as well of since he was able to build up a company that is nearly the face of the sport itself. Over the years Burton successfully made snowboarding something more than just a sport, but rather a lifestyle. The company was able to blossom into what it is today by living true to that idea. The sport of snowboarding has grown a lot in recent years but with the increase in popularity comes an increase in competition as well. Burton has been able to remain at the top of this industry because of superb managerial decisions. The company itself has a number of family brands within the same industry which makes it the largest and, according to many shredders, the most powerful. Making sure that all of these brands are heading in the right direction puts a lot of stress on management. Well that seems simple enough. It should be easy for a snowboarding company to be focused on snowboarding. With that being said, the economy can be very manipulative. The economy forced Burton outside of its realm of snowboarding and that is where I believe they lost focus. The big realignment plan actually is very simple but that does not mean that it will be an easy task. The company is simply just returning to its roots, a snowboarding company built by snowboarders, for snowboarders. So with this, Burton has demonstrated their new focus with substantial investments in infrastructure and Burton Headquarters. The purchase of a huge building next to its headquarters in Vermont is now home to a new research and development facility and a wholesale showroom. This structure is known as “the most advanced and sophisticated snowboard prototype facility in the world.” This allows the company to keep with the new focus and also stay ahead of the competition by creating and testing new snowboarding technologies. I will now leave you with some questions to think about. Is it a good decision to pull back from branching out into other industries even if the a company is doing well in those areas? If you are unfamiliar with snowboarding, how do you feel about a company that has such a narrow customer focus despite being so large. Lastly, are there any companies that have lost their reputation(or flourished) by expanding into other industries? 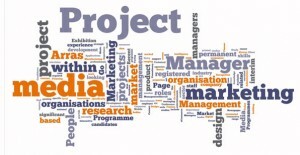 Marketing and Project Management Combined? You Bet! When I first signed up for this Management Operations course I thought to myself, “When will I ever need to use this in my marketing career?” I didn’t understand how management operations and marketing could go together or benefit one another. After reading this article on what marketers can learn from project managers I learned the many ways it can improve their work habits, create successful results, and not to mention increase pay. The responsibilities of a project manager and someone in marketing have similarities when it comes to customers, communication, allocating resources, cost efficiency, time management and many others. Using these techniques of a project manager would help to create stronger campaigns to drive more customers. It would also help to organize the time certain projects are due for clients. As we learn about crashing projects to shorten their duration it helps me to understand how I could utilize this behavior in the work place. As a marketing major I can clearly see how these elements would help fix any and all the typical issues that occur in the marketing department. Most people believe that marketers don’t worry about reducing costs or fixing slack they say that’s for the finance or operations department to handle. But these types of issues could easily be solved by someone who is educated in marketing and project management rather than sending it to another department of a business to figure out. Just by taking into account what I’ve learned already about calculating crash costs, slack, and project duration I can understand how useful these skills would be in the workplace. For example if I’m working on a project for a customer or a client, I’m going to be worried about how much time it will take, how much it will cost, and delegating responsibilities evenly and to the right people. I can already tell that operations management will help me go a long way in my marketing career and I’m looking forward to everything else I will learn. How do you feel about integrating operations/project management to your marketing degree? Do you think it would be beneficial? What elements of this course, that we have learned so far, do you see helping you in marketing? Even if you aren’t a marketing major, how do you fit the course material into your major? Why do you think it’s important to learn the different aspects of each business to benefit not only yourself, but the company as a whole? There are so many different aspects that go into operating and maintaining sufficient revenue in order to successfully run a gymnastics facility. I have coached gymnastics for eight years and I can personally say it’s something that takes a lot of time to learn and teach, but I have a strong passion for the sport. The amount of time that it takes to successfully coach and demonstrate students is both physically and most of all, costly. Some of the strategic decisions that need to be considered when owning or working at gymnastics gym that relate to what we talked about in class is: location, scheduling, customer service and maintenance. When planning to open a gym you want to make sure when setting up the layout of the facility you set it up in a way that will benefit the classes that you’re going to have running. You want to make sure other classes are not needing the equipment the same time as another class. Also it’s very important that you schedule your class times so they are not over lapping with others. One of the other decisions you have to make is inventory. Gymnastics equipment is thousands of dollars so you want to make sure you’re efficient in what you buy so you don’t have an expensive piece of equipment not being used. Along with having the equipment the maintaining that also has to be done which can happen often because the equipment is so heavily used. Since Gymnastics is an extracurricular activity that is quite costly, many families will tend to cut those activities first. In class we talked about Forecasting and how it can affect someone’s business. In gymnastics, you need to make sure that there is going to be enough space for the amount of students you will have in the gym each session. You don’t want to rent a space that is too big or to small so you need to have somewhat of an idea of the demand before going into the business so you’re not wasting space, money and time finding such important locations. Along with space you can’t occupy or use, it’s also important to keep your classes at a size where teaching can still be done one-on-one but still make it affective for you and your students. It is very important to have the right amount of staff (other coaches) so that the parents and students are happy with what they are learning. Who knew how much was involved in running a gymnastics facility? Who can remember the closest gymnastics facility that is near you in your hometown? Location is key. When I was taught gymnastics, my parents drove me two hours to practice and two hours back home because we had nothing like that back home. If you have love for gymnastics and coaching others, it’s worth the time, energy and dedication. Earlier this month, the U.S Postal Service announced that they have made a deal with Amazon delivering groceries on a test basis. The U.S Postal Service is a big player in mail delivery services, handling 40% of the world’ mail and visiting homes and businesses alike six days a week. USPS is now lowering their parcel delivery prices during a time where their competitors (FedEx and UPS) plan on increasing their prices. Both FedEx and UPS fear that with the recent changes USPS has been making with their services and prices will steal away their customers. This rings true in the case of Amazon, when just last December both FedEx and UPS misjudged the amount of holiday packages and many customers did not receive them until after Christmas. FedEx and UPS however do not think it’s fair for their companies because USPS a is a government owned delivery service and has a monopoly on the business. This being said, it is also true that USPS has been suffering from a decline over the years due to the creation and embrace of e-mail. One possible solution that Lenoard proposed was that congress could allow for the USPS to leave the letter monopoly and let firms and couriers compete for this business like European posts have done. This would give the USPS the opportunity to focus soley on the parcel delivery service and would also avoid financial collapse. Lenoard also goes into the topic of USPS becoming more attractive to private investors that have helped European posts. If this were to happen, then the money that could come from private investors could help USPS with their aging trucks, making it more cost efficient and possibly speeding up their delivery. USPS’ recent business decisions displays examples of the three strategies of competitive advantage we discussed in chapter two. First USPS competes with FedEx and UPS in differentiation in their deal with Amazon by delivering groceries. I personally think this is pretty unique because it breaks away from the association that USPS has with just letters and packages, they open up the idea to their customers that they can now deliver groceries, creating a more universal delivery service. Secondly, USPS uses competitive advantage in competing on costs by lowering their prices, allowing for cheaper shipping and delivery services than that of their competition. Lastly, USPS is becoming more responsive. They are allowing themselves to be cost effective, flexible by matching market changes in their new grocery deliveries, and reliability by meeting delivery schedules. I personally am an USPS person, I have my packages delivered by them and I receieve majority of my packages through the USPS. I find their services of great quality and timely delivery. What type of delivery service do you use and why? If you use either FedEx or UPS would you change your mind after hearing about their delays in their delivery, why or why not? What else could USPS do to give them a competitive advantage?